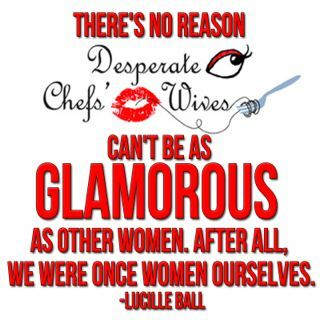 Desperate Chefs' Wives: At What Price? My husband has never done a reality cooking show. No matter how many times I've begged him to, he just won't. But even if he did want to go, I can't imagine him leaving for months at a time to film a show such as Top Chef. On this season, the chef'testants competed in Seattle and I've been watching since day one. (Rooting for Sheldon) The last chef to pack up their knives was Josh Valentine, whose wife delivered their daughter during taping. Now, I just can't believe that. I don't know what I would do if my husband were working while I delivered. I know my perspective on the matter is unique since i nearly lost my life after my first son was born, but I guess that's why they call it perspective. I'm having one more child in July, and Erik and I agree, without even thinking, that he has to be there. That's it. But maybe I'm just a rare exception to most women. You tell me. I also had no family with me in the hospital and I know Josh's wife had her mother there. Perhaps that would change my mind. But the question is: What sacrifices to we make that allow our spouses to have opportunities? Or sometimes just CHANCES for opportunities. I love my husband very much, but there has to be a line drawn somewhere....where? First of all, Congratulations! That's so very exciting for you all :) I have two thoughts on this. When I delivered our first child we were watching the Red Sox game that was being played a mere 1/2 mile down the street. David Ortiz had just had a baby at the very same hospital that very morning. When I told my husband that I would never allow him to go play baseball hours after our child was born his response was "If i was making millions of dollars I bet you wouldn't mind" hmmmm.... My second thought was of a conversation my husband and I had over drinks one rare night out. 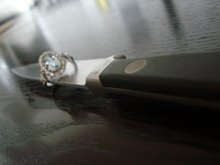 It came to my attention that my husband was rather resentful that he would never get a chance to try out for a reality cooking show, cause he knew I "would never let him go" (his words - we had never an any such discussion) While he made his case for all the great doors something like that could open for him, I thought to myself - he's right, I would never want him to go. 2 small kids at home who he never sees, a marriage already in the weeds, and he wants to leave for weeks/months? You're absolutely right - the cost is too high. You're lucky that Erik agrees with you on this one. You will both enjoy this new addition so so much. Best of luck with the rest of your pregnancy! my daughter was born in July too! 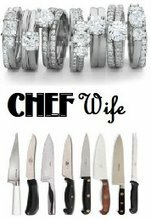 I'm so happy that you've created this cyber sanctuary for chef wives. Thank you so much for giving my mind the comfort that I am in fact not crazy with all the things I feel & think !! thats a tough question Hilary, i personally tink it is something that you cant think of in advance and is something you have to make a call on when the moment happens!